Godzilla: City on the Edge of Battle Anime out now! 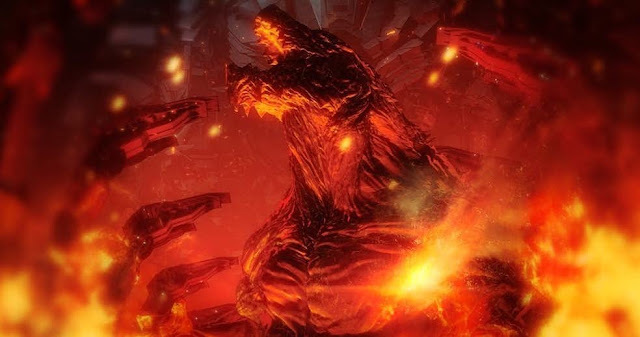 Last year, Netflix launched the first chapter in the Godzilla anime trilogy; We checked out the size of this new Godzilla and he is astounding. Godzilla: Planet of the Monsters. It focused on humanity returning from a failed mission across the galaxy, intent on reclaiming Earth from Godzilla, who’s eliminated nearly all life and ruled for 20,000 years. With the second movie in the trilogy; City on the Edge of Battle out now, Godzilla, is as brutal and destructive as ever. If you haven't started watching the series yet, it's time to jump in. Below is the trailer for Godzilla: City on the Edge of Battle.